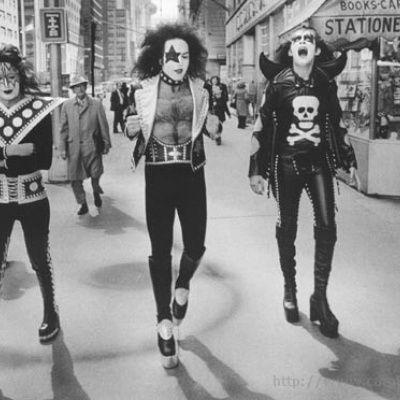 There is more than one artist with this name: 1) KISS, American hard rock band 2) Kiss, Korean female pop trio 1) Kiss is an American hard rock band formed in New York City in 1973. The group has performed and recorded continuously since their formation. KISS has sold over 100 million albums worldwide and has been awarded 45 gold albums to date, and has certified sales of 19 million records in the United States.